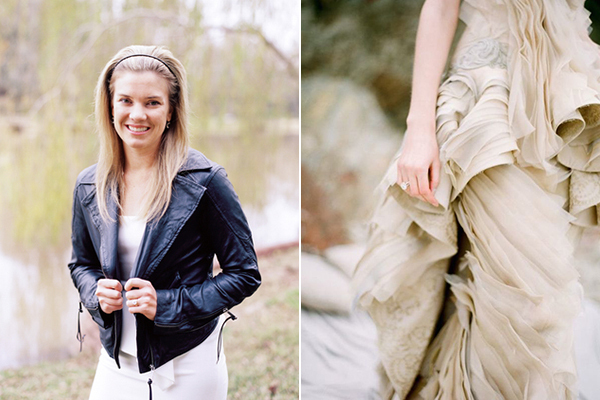 One thing I truly love about Belle & Chic wedding blog is that I can spend hours (seriously hours!) 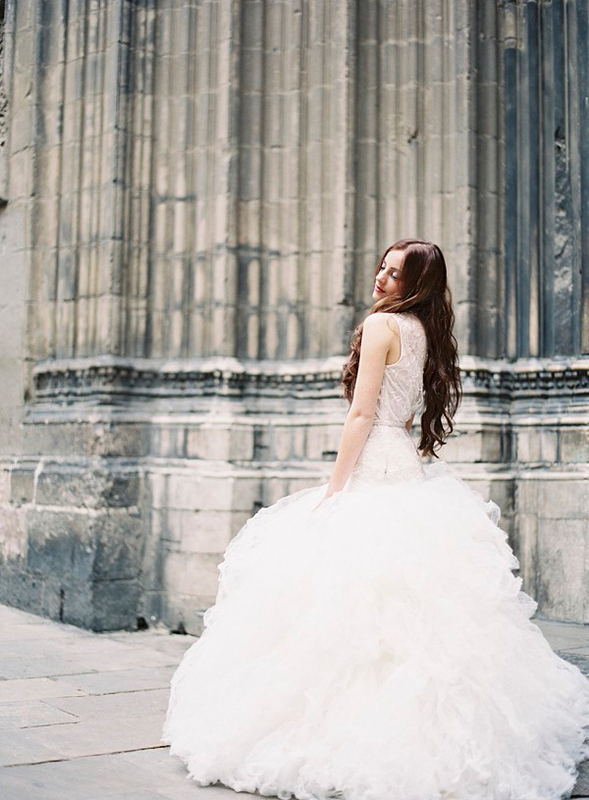 swooning over the artists, vendors and venues she showcases and loving every single detail about the stylish Mediterranean weddings she features. 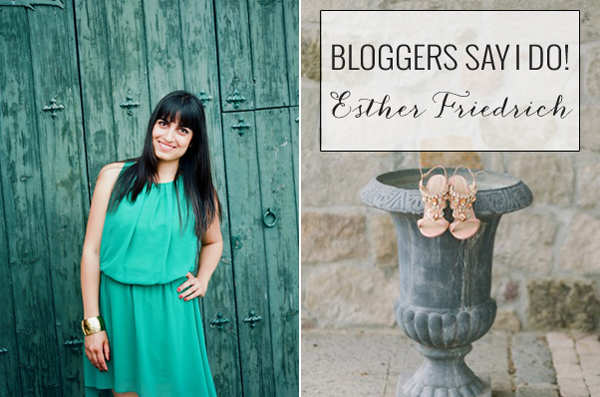 I am so happy today that Esther is sharing her ideas on how she would re-imagine her wedding. I am sure it is going to be positively gorgeous and 100% Mediterrranean! 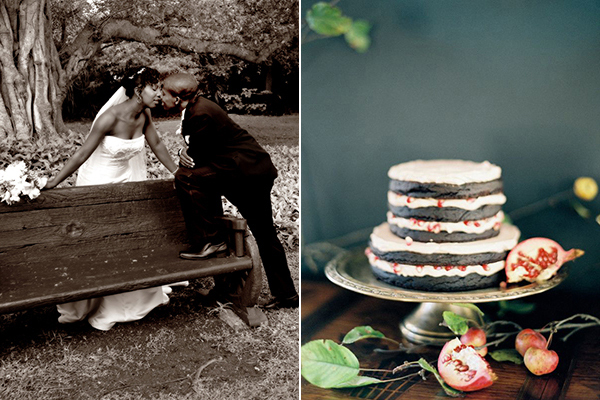 I got married in 2008, before Pinterest (gasp) and before I knew so much about weddings. 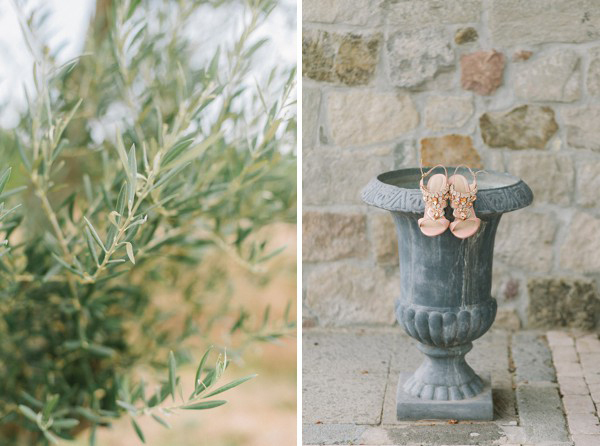 In fact, my own Mediterranean nuptials are what got me started as a wedding blogger – I couldn’t seem to let the topic go and kept dreaming about tying the knot again (with the same guy, obviously). So when Eleni asked me to “re-imagine” my wedding, I got really excited… because in my head I know exactly what it would look like were I to get married again today. One thing is for sure – I’d have a Mediterranean wedding again, most probably in Barcelona, Spain, because that’s where we live. We have great beaches here, but for as much as I love them, I am not the “barefoot beach wedding” type. 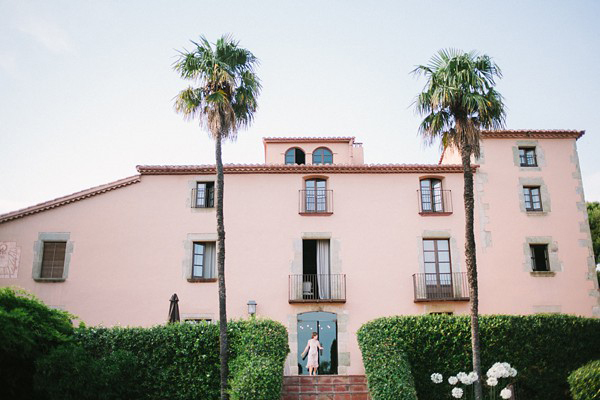 We got married in a masia (Catalan manor house), a little bit land inwards but with views of the sea, and had an outdoor reception. To me, it was the perfect setting and today I would choose the same option. 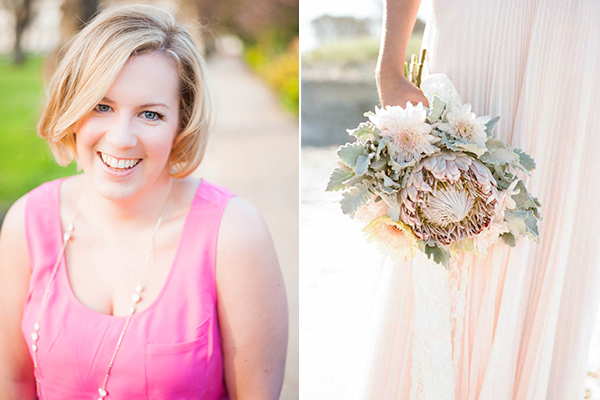 I love the current trend of having blush wedding dresses… but alas, pale pink is not a color that goes well with my skin tone, so I’d use blush in the flowers and décor instead. Combined with creamy neutrals and the pale green of the natural surroundings, it would make a stunning palette. Speaking of green, foliage and greenery would play an important role in the overall décor. 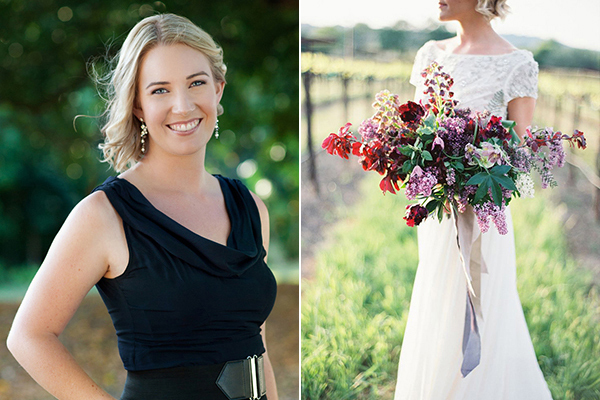 I’d most likely use olive branches, they add texture and a touch of wilderness (so romantic!) and would make a further reference to the overall Mediterranean leitmotif of the celebration. Oh, the food in Southern Europe, is there anything better in the world? And I am not even mentioning the selection of wines… We’d have the best of the Spanish cuisine, cooked and served by a smaller local caterer to guarantee top quality. I might add a vermouth station for some fun, or maybe some open fire paella cooking. 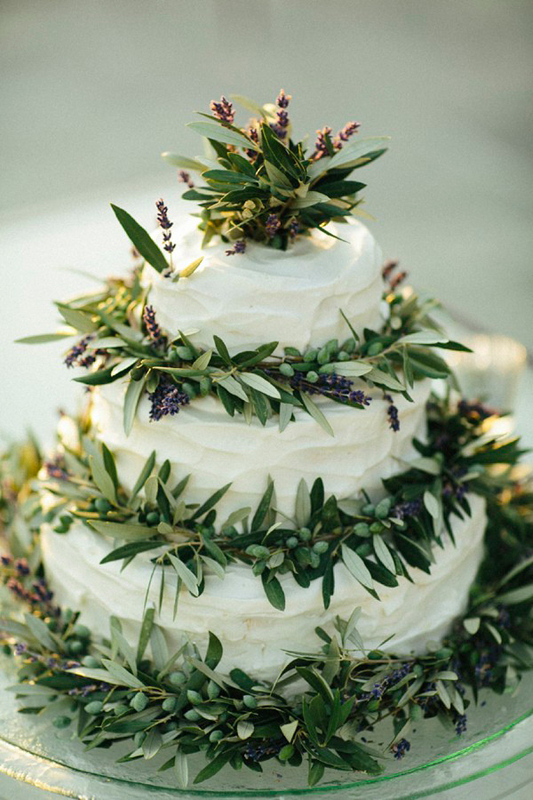 The cake would be white, with cream frosting (not a big fan of fondant) and decorated with flowers or olive branches. As with the entire celebration, I’d aim for simple and organic elegance. Music always has played an important role in our relationship, and I would love to surprise my husband with one of his favorite local bands playing live at our wedding! A tour of the Greek isles, no doubt. 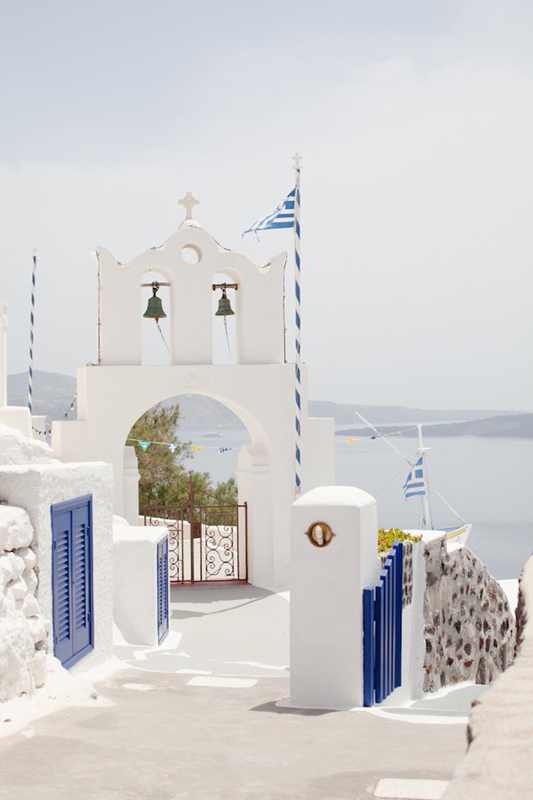 After blogging so many weddings and honeymoon shoots in Santorini, I need to finally see it for myself! 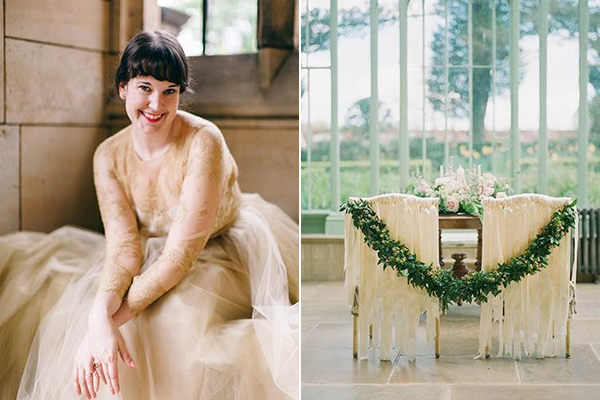 Esther your re-imagined wedding is beautiful just all the lovely wedding inspiration you feature on Belle & Chic! P.S … I especially love your honeymoon idea! Have I said I love this series already…getting to hear what bloggers think in regards to their wedding is always fun, especially with the extensive knowledge we gain through blogging. I’m loving her dress and cake choice, Oh that leafy cake is so dreamy! I am so happy you enjoyed it! Thanks for having me Eleni :-)!! 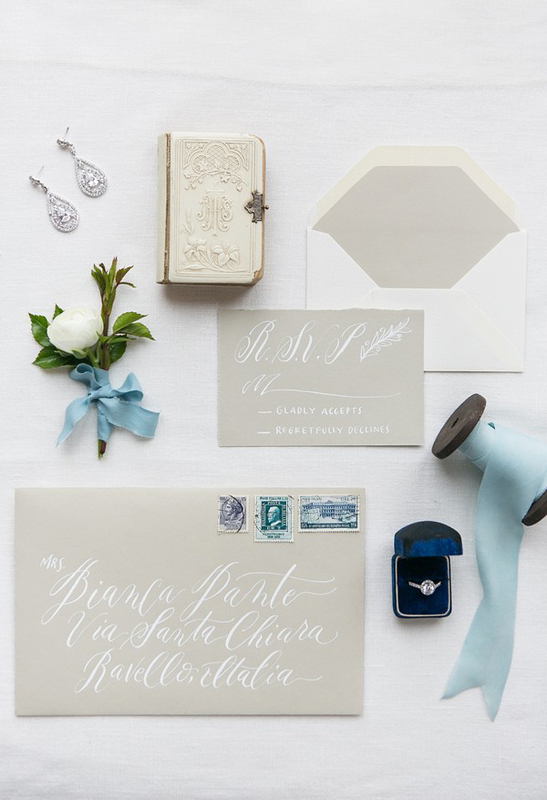 Oh what a dreamy selection…but then I wouldn’t have expected anything less from Esther!